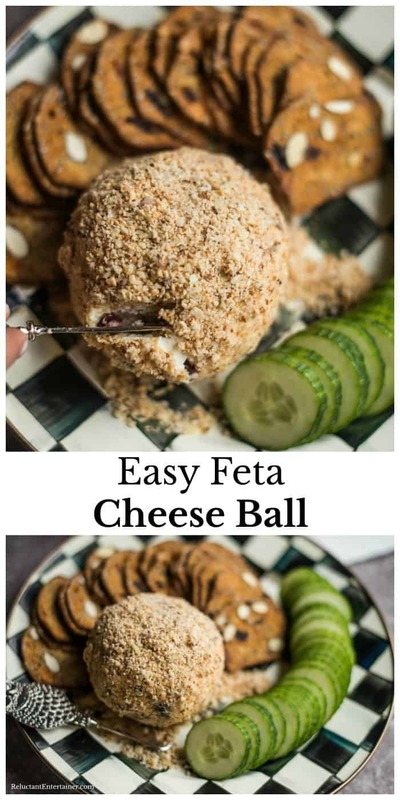 This Feta Cheese Ball Appetizer is the “perfect bite” for any party, if you’re looking for an easy cheese ball recipe. How do you make a cheese ball? Make-ahead, refrigerate, and roll in your favorite nuts. 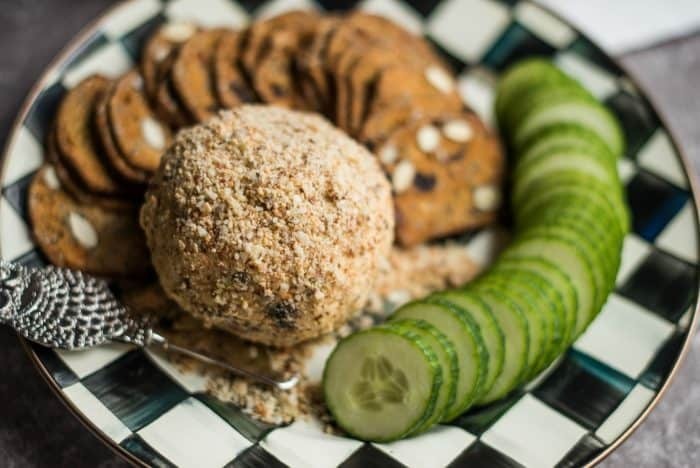 Homemade cheese balls are the best, and devoured quickly at every gathering. Serve with pita chips and veggies. 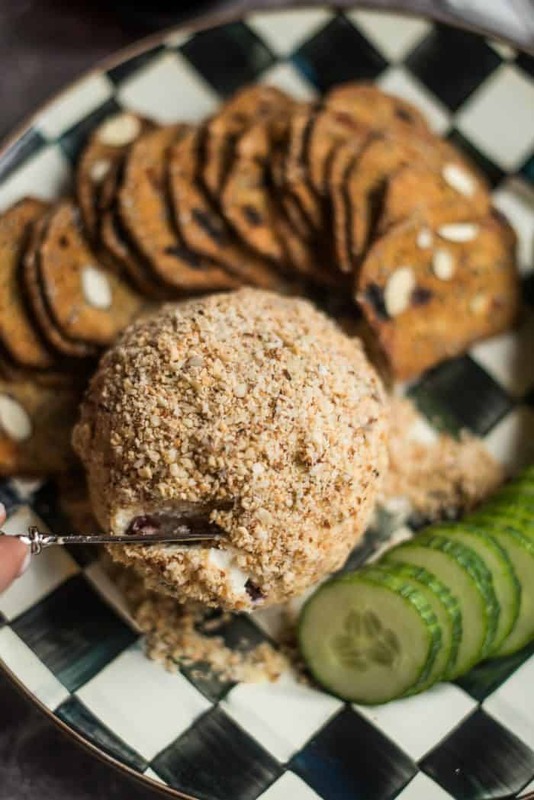 Friends, just in time for spring hosting, I’m sharing a delicious easy cheese ball recipe: Feta Cheese Ball Appetizer, from Jessica Merchant’s new book, The Pretty Dish. 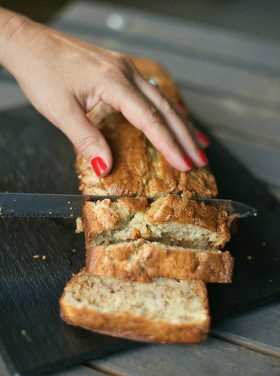 The recipe is divine, the book is beautiful, and you won’t believe the mouth-watering recipes inside! I’ve noticed that my friends who are great entertainers are the ones who don’t stress over decorations, food, etc. They welcome us with their attitude. :) Have you noticed this as well? 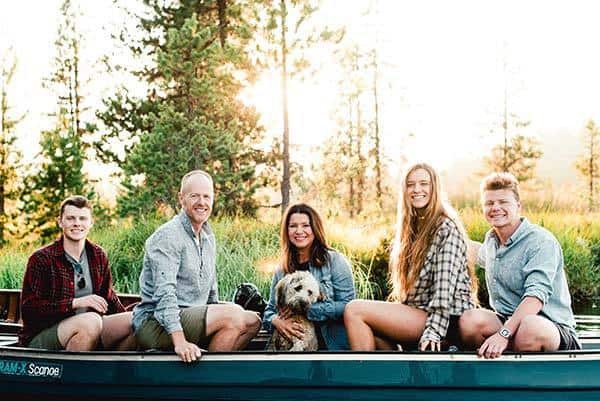 There’s just something about their spirit that says welcome, no matter what the surroundings. There’s a quiet confidence about them that is not flashy or showy, and they make some good food, too! Like my friend, Jessica, whom I adore. 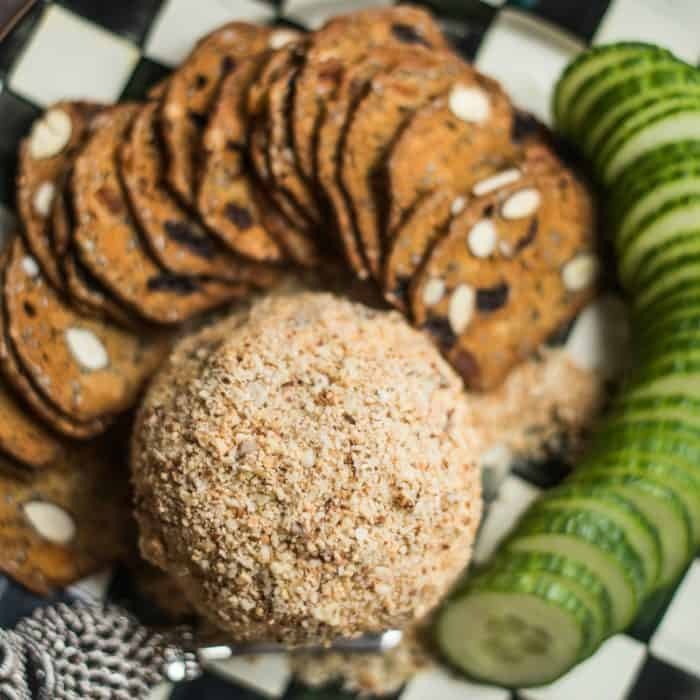 Jess’s Cheese Ball Appetizer recipe is a semi-Greek inspired, loaded with feta, roasted red peppers, kalamata olives, and artichokes. By the way, I first met Jess when she came to dinner at my home back in 2012! We spent 3 days together, a total blast! 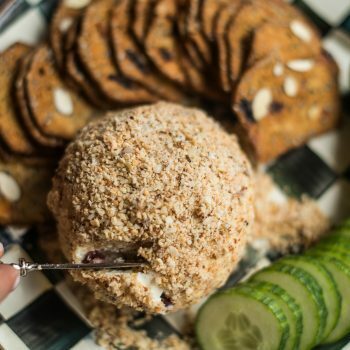 The tip to making a cheese ball so good? 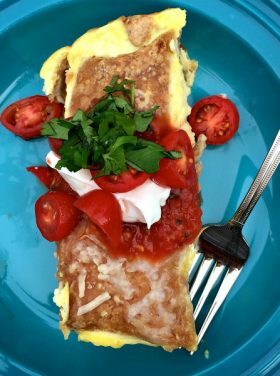 Make ahead (so yummy with cream cheese and feta mixed!) and refrigerate, to get the cheese nice and hard. Then you roll the cheese ball in nuts. In this case, finely chopped macrona almonds. 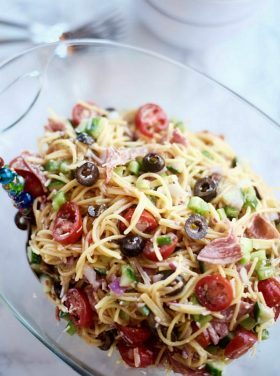 Serve with your favorite crackers, pita chips, or veggies! 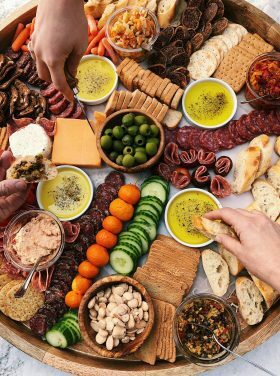 Most of you know I love to set out an epic charcuterie board, but when it’s a smaller group, one appetizer is enough. Especially when you have a big meal planned, like this Chopped Vegetable Salad with Feta and Olives, Oven Baked Salmon with Barbecue Blackberry Sauce and Best Parmesan Basil Brown Rice Recipe. 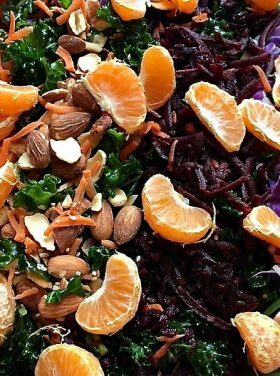 Looking for 7 tips for how to make a crudite platter? 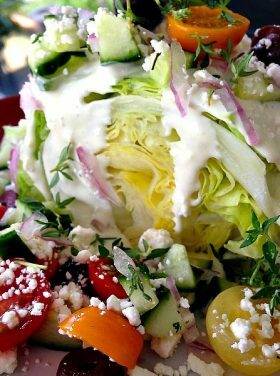 This appetizer would also be amazing served with crudites! 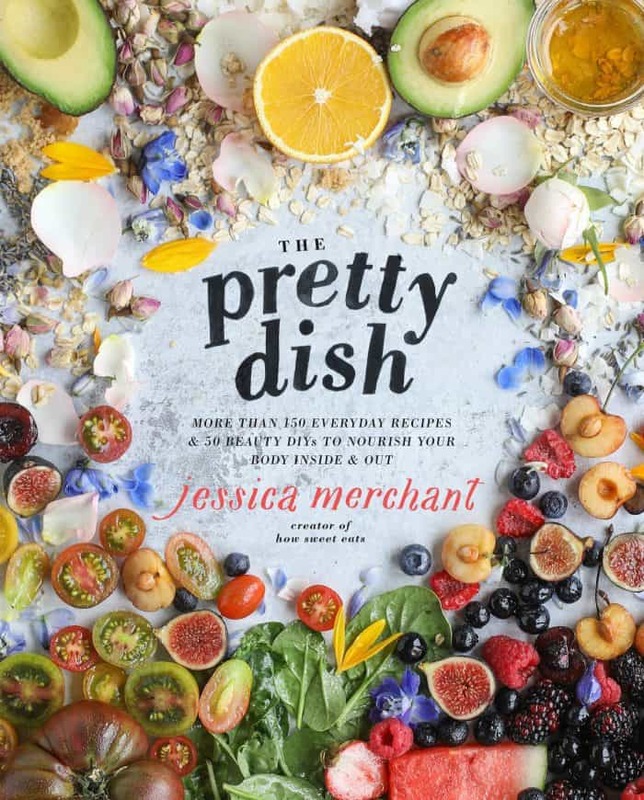 Before every recipe, Jessica tells a little story in the The Pretty Dish. 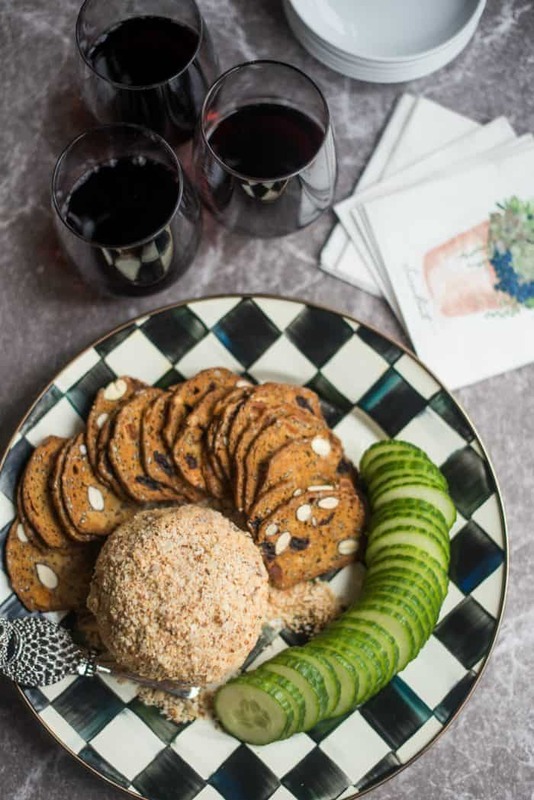 In this case, for this recipe, the story is about her grandmother being the queen of cheese balls. Guess what’s in the end of Chapter 8? A whole chapter on playlists! Music is a big deal when we host a party. Of course the people are the most important element, but when you want to add some ambience, music is it. Jess also includes a whole chapter on “beauty DIYs” with food that you can put on your face, and on your body. I am so in love with these homemade recipes, which also make great gift ideas! Click over to order your book! Or, maybe order a couple, because they make a great Mother’s Day or shower gift, too! 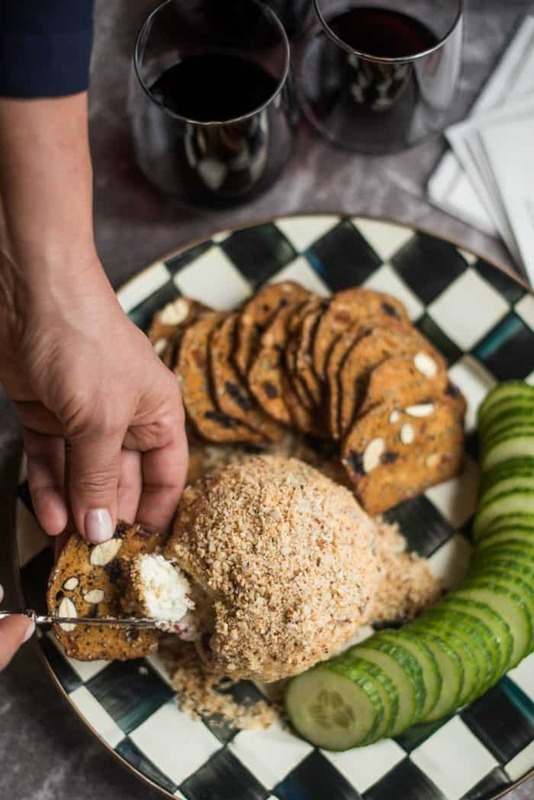 Place the feta in a food processor and pulse into small crumbs. Transfer to a large bowl. Add the cream cheese, garlic, olives, red peppers, artichokes, salt, and black pepper and stir until combined. Mold the mixture into a big ball as best you can. Roll it in plastic wrap and refrigerate for 30 minutes. After 30 minutes, mold the cheese into a smoother ball. Spread the almonds on a plate or baking sheet and roll the ball through them, using your hands to press them into all the cracks and crevices. 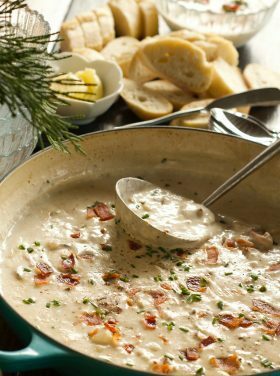 Serve immediately or keep it in the fridge until ready to use. The cheese ball can be made 1-2 days beforehand, wrapped in plastic wrap, and stored I’m the fridge. Serve with crackers chips, and veggies. More feta cheese appetizers: Hot Bacon Feta Dip [The Cookie Rookie] and Cranberry Feta Pinwheels [Spend with Pennies].